Bought this with a new cooker. Very pleased with it. It does what it's supposed to do. Only niggle - length of flex. Long enough to reach the cooker socket, but only just and it looked awful. Had to extend it in the end. 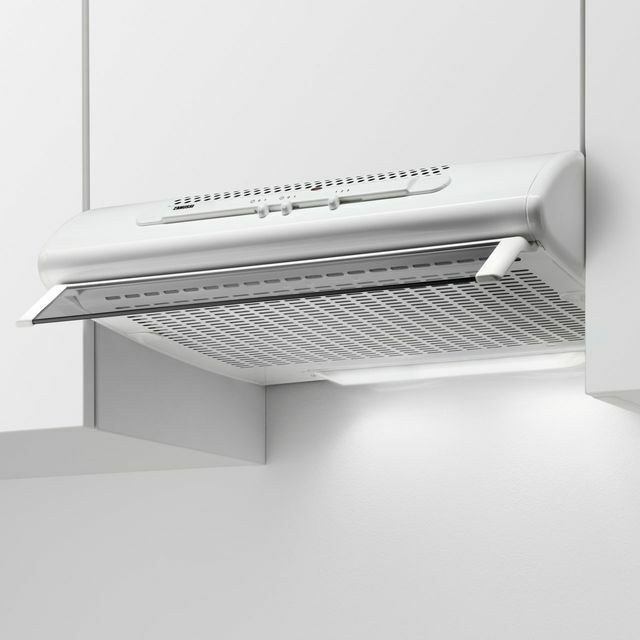 I chose this extractor hood as it was simple and easy to use with decent performance for a good price. it does exactly what it says on the tin. I bought this cooker hood to replace an old one when my kitchen was being refitted. Looks very good and is quieter than the one we previously had. Good quality cooker hood, let down by silly things. Who decided a white painted product should be supplied with a black mains cable, looks really ugly. The installation instructions are just pictures, no words, I installed as a recirculated hood and with no words it's not obvious which diagram is relevant. The install pack looks to be random as it did not contain any of the three install packs shown in the guide. Great quality appliance, sleek appearance,modern looking,fit for purpose, very quiet in its operation making it a functional and unobtrusive piece of kitchen equipment. Price wise is probably mid range but still affordable for a make like Zanussi.glass screen and light add to the pleasing aesthetic look when used as a light source in the kitchen.